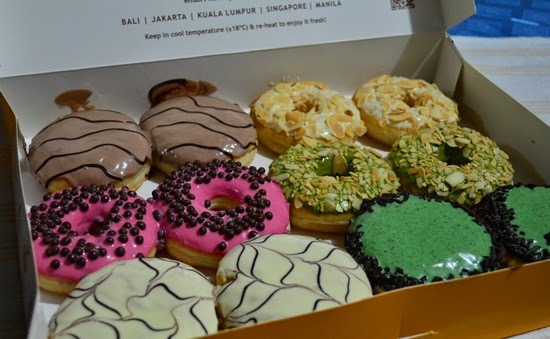 J.CO DONUTS & COFFEE NOW IN DAVAO! 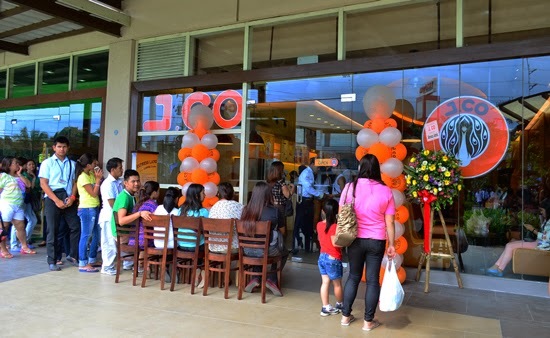 J.CO Donuts & Coffee has finally opened its 29th branch in Davao City today. 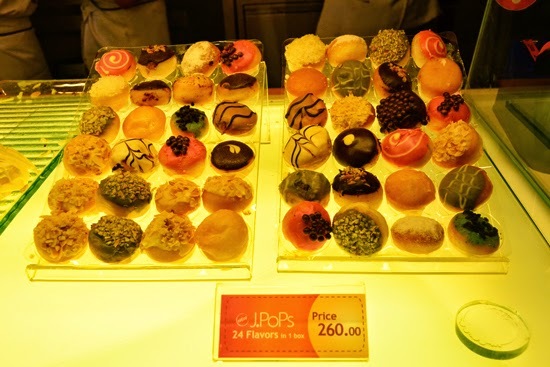 Along with other awesome Davao Bloggers, I had a chance to try the feel of their new shop, which is conveniently located at the Park Dining, Ground Level of Abreeza Ayala Mall along JP Laurel Ave., and sample some of J.CO’s best tasting donuts and beverages. Since it’s their opening day, it’s expected that people crowd in to avail of the early patron giveaway. Though the line was long and it was hot outside the ‘disiplinadong’ Davaoenos waited patiently and coolly for their turn to be served. And I commend the J.CO management for efficiently handling their eager and excited customers with care and caution. J.CO Davao at Park Dining, Ground Level of Abreeza Ayala Mall, JP Laurel Ave. I love the charm of the shop, just like other J.CO shops, J.CO Davao has light, graceful and easy feel. Thought also the staff were friendly, the lady cashier was courteous, exuding grace under pressure despite her standing on her post for a long time and Sam, our waiter was so polite. The café is spacious and airy, the tables and chairs are spaced aptly to provide ample room for customers to move around easily. 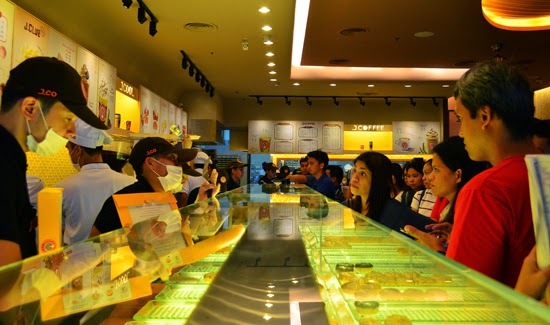 It was kind of crowded today; it’s understandable, as it's still on J.CO hype. But I imagine on a normal and ordinary day I can see a relaxed and comfortable atmosphere around here, indeed, a good place to close-in business deals and chill around with friends over a cup of Jcoccino. And they call this donut, Alacapone. 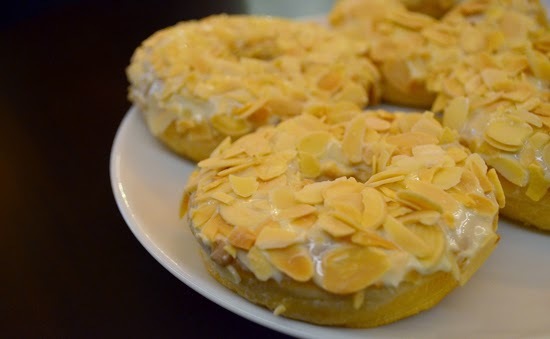 It is J.CO’s signature soft-bite donut, topped with white Belgian chocolate and sprinkled with roasted almond slices. It’s so good; I had two the whole time we were at J.CO. 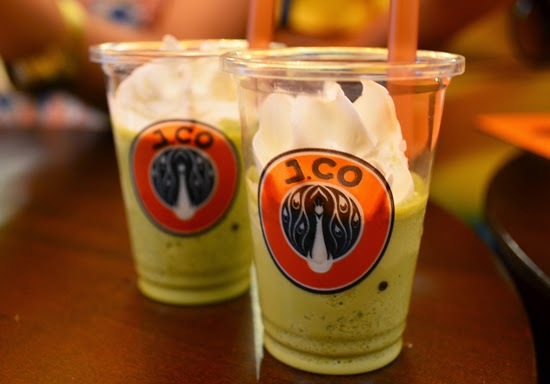 The Green Tea Frappe will be my J.CO signature drink from now on. It’s not too sweet, the green tea is not overpowering. It’s a good blend for seasoned café goers who are not into high sugared, cold drink. 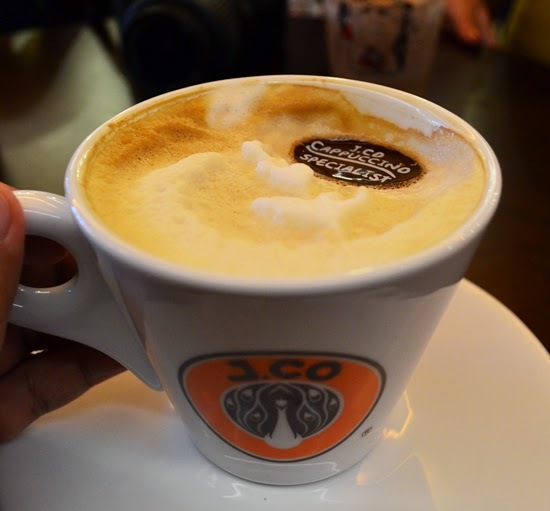 And this is Jcoccino, J.CO’s signature cappuccino. It’s rich, full-bodied and made with pride by J.CO’s expert baristas. I wonder if they can make Hello Kitty art out of my cup, jejeje. 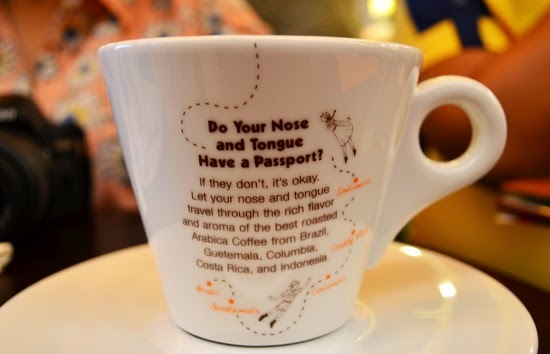 You should try this when you visit. donuts selling like J.CO Donuts. baked in the store, garnished and displayed fresh from the range. So Davaoenos, no need to ask a friend or relative from Manila or GenSan to bring a box of J.CO for you. We finally have J.CO in Davao. J.CO Donuts and Coffee is conveniently located at the Ground Floor, Park Dining Area of Ayala Abreeza Mall, Bajada, Davao City. 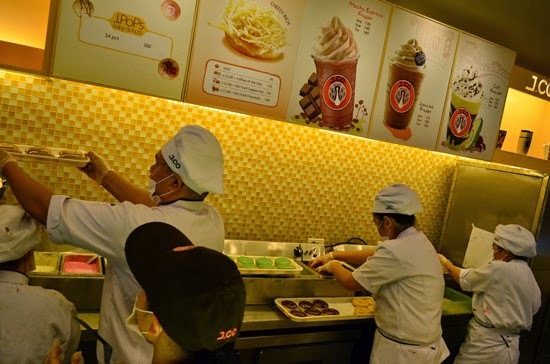 J.CO started out as a concept shop by Indonesian entrepreneur Johnny Andrean with its first branch opened in Jakarta, Indonesia in 2005, J.CO Donuts and Coffee has since opened up branches in Malaysia, Singapore and their first Philippine branch opened 2012 in Manila. 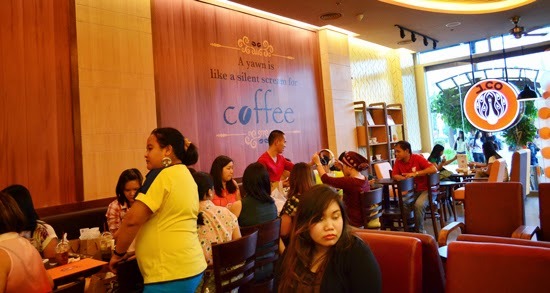 J.CO Abreeza branch is their first shop here in Davao and another will open next year at SM City, Ecoland. 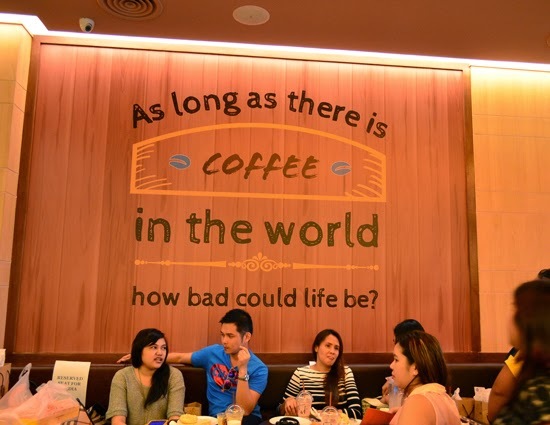 With this development, J.CO indeed, is putting up mark for another milestone as it continues to be Southeast Asia’s fastest-growing coffee chain. Got a dozen J.CO. 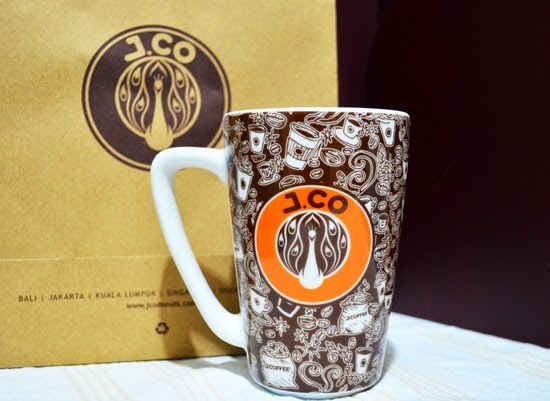 and a mug too; Thank you J.CO for having us, we had a good time.